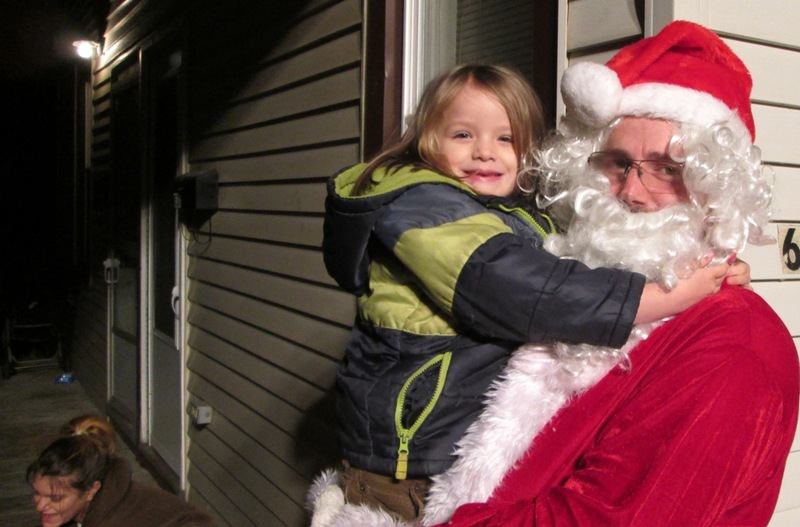 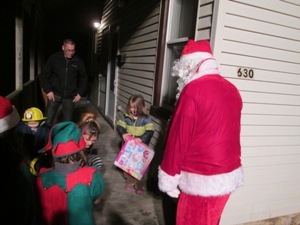 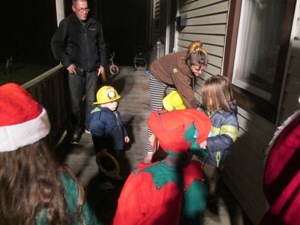 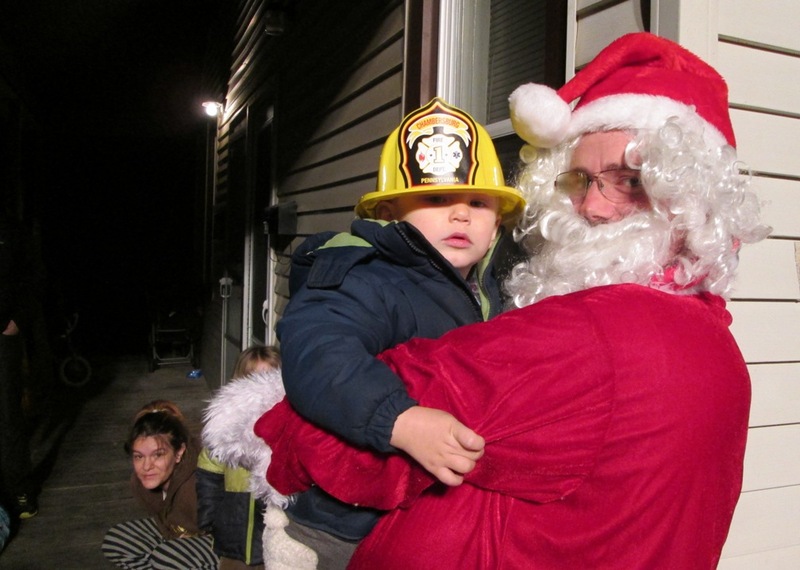 The Chambersburg Fire Department and the group "Heroes Fighting Cancer" met to deliver toys to a well deserving family. The "Heroes Fighting Cancer" obtains and delivers gifts in hopes of providing a Merry Christmas to children battling a horrible disease. CFD arrived with lights flashing, and Heroes Fighting Cancer treated the children to presents and a visit with Santa.